Seas the Savings and Sail Away with a Cruise! Call, visit or request pre-approval online to get pre-approved financing before you shop the lot. Visit the dealer, choose your vehicle and leave with the keys. Call or visit the credit union to finalize your loan and receive your cruise certificate. How does the cruise work? 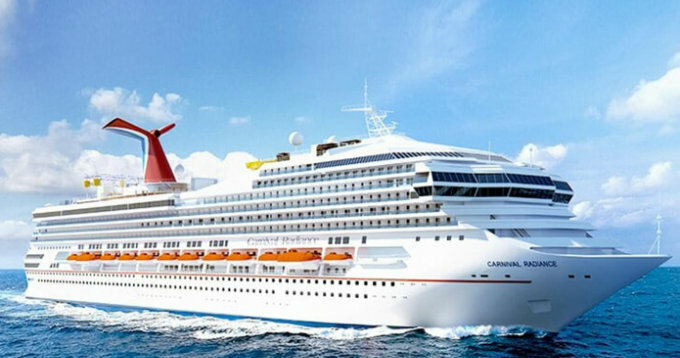 Cruise certificates would entitle you and your guest to a 5 day, 4 night cruise vacation for two to Mexico, the Bahamas, or the Western Caribbean aboard a Super Luxury Liner from major cruise lines, primarily Carnival®. Your cruise vacation would include all onboard gourmet meals and snacks, 24 hour complimentary room service, dozens of exciting shipboard activities, a wide range of nightly entertainment and fabulous ports to visit and shop. *Members of Meritus Credit Union that finance a minimum of $25,000 for new or used vehicles from April 1- June 28, 2019 are eligible. The promotion is limited to auto loans only. At loan closing, member will receive a cruise vacation certificate for two per qualifying auto loan. Members closing jointly with one or more persons will receive only one certificate. Certificate recipient is responsible for: 1) a one-time registration fee of $19 per person (certificate is transferable prior to registration, during registration period), 2) port charges, taxes, customs and fulfillment fees of $39.60 per day/per person, 3) transportation to and from the port, 4) any applicable identification and 5) any applicable incidental/gratuity charges and/or fees. See certificate for full details. Visit merituscu.net for Official Promotion Rules and eligibility.